There are lots of sports clubs at Oxford university, meaning that there are frequent matches and tournaments for spectators to enjoy. Opened in 1997, the Kassam Stadium is the home ground of the Oxford United Football Club, being built at the cost of £15 million and capable of accommodating more than 12,000 seated spectators. Occasional concerts are staged at the stadium, with Elton John performing here in the past, in front of a crowd exceeding 20,000 people. 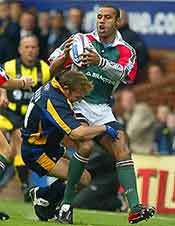 Also popular in Oxford is rugby and various rugby union games are played at the Kassam Stadium. If you are looking for a local gym, then the list of fitness centres is certainly an extensive one. Alternatively, there are several swimming pools (indoor and out), cricket pitches, playing fields, bowling greens in local parks (such as Blackbird Leys, Botley and Florence Park), go-kart racing, a greyhound racing stadium and even an ice skating rink. The Oxford University Rugby Club has a large following. There are regular local rugby matches played during the rugby season, although most popular match, the Varsity Match against rivals Cambridge, actually takes place in Tickenham. Held each year in early December, this match dates back almost 150 years and is watched by literally millions on the television. Football is one of the most popular spectator sports in the area and the city's main football team is named Oxford United. Regular football matches take place during the season at Kassam Stadium on Grenoble Road, which is located on the south-easterly outskirts of the city and comes with excellent facilities. There are an increasing number of amateur cricket teams in Oxford and the surrounding area, although at present, cricket is still a minority sport in the city. 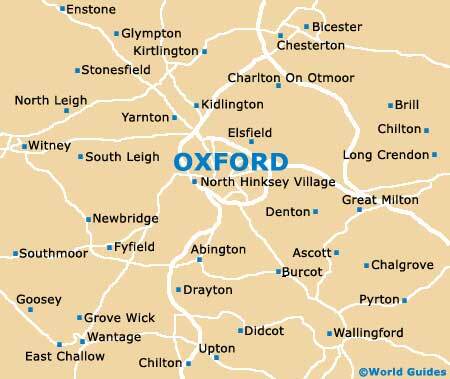 There are numerous well-equipped fitness and sports centres in central Oxford, with excellent state-of-the-art weight training equipment, as well as plenty of aerobics courses and personal trainers. Most gyms tend to open seven days a week, from early in the morning until late at night. Located on the southern side of the city and close to the South Oxford Community Centre, the Hinksey Swimming Pool is a large open-air pool and is always popular with both locals and visitors during the summer months, weather permitting. The Hinksey Pool is surprisingly historic and dates back as far as 1934. Close to Cowley Road, the Temple Cowley Pools centre is home to three large indoor swimming pools, with lessons, spectator seating, a café and a related shop. Situated roughly 30 minutes to the south-west of Oxford, in the nearby market town of Wantage, the Kartex Grand Prix is a popular indoor racing circuit with excellent karting facilities. Karting Oxford, close to Cowley Road and just across from the city's Greyhound Stadium, is a popular outdoor racing circuit with a stadium area, floodlights and a café. The city's Ice Rink can be found in central Oxford and is a large rink with good skating facilities, such as instructors, classes, disco nights and a café area.